Yes On Wes! 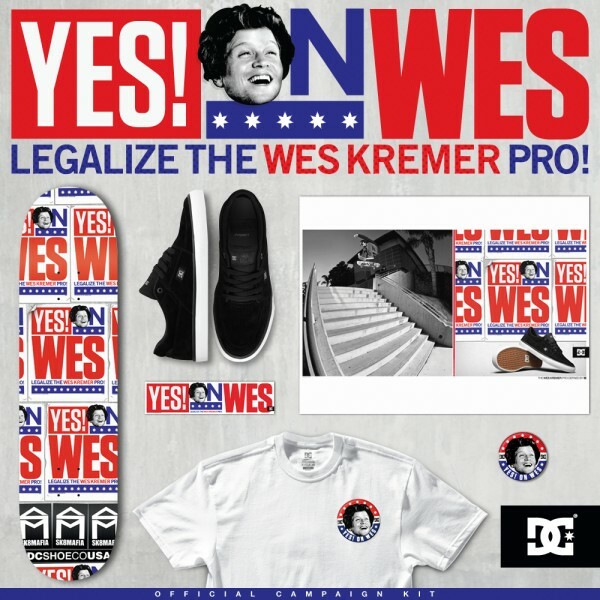 Go get entered to win a new pair of the Wes Kremer Pro shoe, a Yes On Wes Sk8mafia deck, and the official Yes On Wes campaign kit on DC’s Facebook page. Enter to win.